The online relationship – Build to last? We seem to be more and more fixated with building relationships online. I for one have hurled myself at blogging, twitter, Facebook, flickr, slideshare, several dozen online communities and chat rooms. But when it comes to building real relationships there is no alternative for the real life experience. For one I try to meet as often as possible with the people I relate to online in real life. It is not always easy with busy schedules and all but by making an effort and in general I believe I’m doing quite good if you ask me. However, I as many others tend to slip into the comfort of the laptop instead of going outside to meet actual people. So my pledge will be to get out of my comfort zone and get out there where real people meet. What got me thinking was this infographic that Sarah Wenger send me called the “Psychology of Social Networking” which I have attached below. The thing that caught my eye was that even though we send out millions of posts, tweets, etc. every week it would seem that the main theme is the preservation of our own self image as successful, energized and (most of the time) happy. It would seem that there should be a natural match between social media like Facebook, Twitter, Digg, etc. and the voluntary engagement with stakeholders that is subscribed by most CSR professionals and academics. However, there might be a natural match but between the two in theory it seems that there is a long way to go when it comes to practice. In my mind there are several things that goes wrong for social media practitioners when it comes to CSR communication. First, practitioners fall in two categories. One is what I call old school communication people who looks at Social media as a channel that brings new possibilities to get the message through. They properly have a good understanding of the ins and outs of the CSR practiced in the organisation but they are limited by a marketing mind-set. The second category relative young people who understands the media and have been brought up with social media as a natural way to stay in touch with friends and family. However, they might not understand the organisations CSR in depth, its nuances and the challenges that come with having a much broader stakeholder outlook. Second, social media driven by the users are a myth. Until this date I have not heard of a social media effort from a private or public organisations have a significant proportion of its contents provided by the organisation itself. Think about it, even though you are a member of a really great and interesting organisation would you spend all your time there? Properly not. But amazingly a lot of companies think that if they set up a social media platform and feed it with commercial, lobbyism briefs and sneak previews of their products people will happily engage and provide contents for their sites. In reality most “successful” social media campaigns have been planned, driven and controlled by the organisations that benefited from the exposure, and users have been invited to participate only to support the already constructed message. There is no negotiation or co-construction of contents. There is no possibility to let the better argument win or possibility to provide alternative messages. The organisation or a professional communication bureau controls everything in the effort from A to Z and users are only puppets that can be played from a string. When it comes to CSR communication this provides a real dilemma as transparency and engagement is central to our understanding of a truly socially responsible company. So what “normally” happens is that in order not to be perceived as manipulative organisations leave it the users to provide information and debate, which in the end make the whole social media effort a failure because people just don’t provide contents by themselves. Basically organisations are planning to fail in their social media CSR communication. Third myth is that Social media is cheap. Who is your social media resource? If you are lucky you have half a person who is in charge of all the platforms available a daunting task of he or she is to provide a large proportion of the contents for the sites. However, organisations think that the majority of work is going to be done by the users and therefor do not provide any resources. Just like having a newspaper and only employing the editor, so to speak. If you want to do something serious about your online stakeholder engagement you need to allocate the resources needed in order to make it work. I have heard many business people who complain that that their social media activities are a failure, but when I ask what kind of resources has put into it, it is no surprise that they are not able to harvest the benefits. “Crap in Crap out” seem to be the prevailing model as with everything else in life. As promised last week I have been looking into how Integrated Marketing Communication (IMC) and social media can be combined in order to create the optimal conditions for CSR communication. If one looks at CSR as the ability and willingness of an organisation to engage with its stakeholders in an effort to understand and possible meet their needs the Social media can play a central role. On the other hand if the organisation only looks upon social media as a way to get the “message across” then they will only venture down the path of failure and possible ridicule at least among the people who use the media in a professional manor. In short is IMC is the integration of all the communication of the organisation into one single message. The definition might seem very simple but it is the application of this basic principle, which most companies struggle. The main issue is that when organisation tries to coordinate their communication into one single voice they often do so by limiting the number of channels. This has the apparent advantage of maintaining control but at the same time it reduces and to some extent eliminates the advantages to an IMC approach. To add to this complexity we have seen a raise of new media, which put even more demands on organisations and their ability to communicate. Social media means just that that they at their core are social they demand that organisation communicate with and not only inform their stakeholders. Social media comes in all sizes and shapes and if you are a person under 50 there is a overwhelming chance that you are part of the social media sphere on one of the platforms like LinkedIn, Facebook, Myspace, Twitter or one of the many private platforms which are provided on state or corporate level. While you might not have signed up for one of these platforms you there is a high probability that you have been watching videos on YouTube, looked for information on Wikipedia or made a call using Skype, either way you are connected. For the very same reason companies and organisations are very anxious to get access to these media in order to sell products or improve their brand. Most of these companies, however, look at the media in much the same way as advertising and while this approach is “easy” it is at the same time ineffective. Again…Social media means Social so you need to take that serious. So what do you do with this media if you can’t use the traditional tools to effectively communicate? Well for one you need to comprehend the scope of the media not only in terms of potential clients but also all the other people who will be listening in. This also means that you need to think about suppliers, employees and their families, friends, critical voices, management, the corporate board, the local community, politics and politicians, the list is long. Even the most effective and well-staffed organisation can’t nurture all their stakeholders all the time and the good thing is that they do not have to if they are able to understand and use IMC to their ends. Ones you have found out the What, Why, How and When your next step in the process is to understand the media its possibilities and limits. I have compiled a list of subjects that your organisation needs to consider. Listen and Learn – As much as social media is a possibility to get in contact with your most important stakeholders it is also a place from where you can listen and learn to their advice. This does not mean that you have to do everything that they suggests but it gives you the possibility to find out what is the hot topics around your organisation. Make sure that you do not only have one channel to listen from but be active in groups which are discussing some of the same issues and concerns that you are also dealing with. So for example if you are in the freight forwarder business you might be interested in alternatives to fossil fuels, cargo space optimisation, Supply chain management issues, politics around airports, Human resources and management development, etc. All these subjects have hundreds of interest groups and offer a great possibility to learn what is going on and maybe get a few ideas along the way. Lead – Do not be to humble around your business or organisation you have to lead the way. 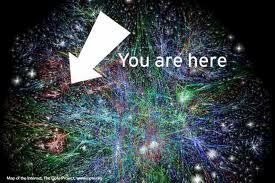 You might thin that there are others who in many was have more resources and have bigger organisational structures but on the Internet none of this matters. Here you can lead even though you are representing just a few people. Leading means that you take up subjects which interest you and that you engage in discussions when they arise. You come up for suggestions for positive change (meaning constructive criticism) and take new parameter into the debate when it halts. You keep you “corporate” image at a safe distance, as you otherwise might come across as a corporate “lap-dog”. People will know who you are and the place you work at from goggling or other means of investigation based on what you say and if they think you are interesting to listen too. It is not that you should keep it a secret where your come from as this might be interpreted as being dishonest just do not overplay your cards. Innovate – If you think that you have a good idea or you find somebody out there who comes up with something do not hesitate to communicate it. You might be surprised how many people who are willing to help out if you give them the possibility. Be part of the process and do not be afraid to contribute it is very few ideas that can be used as part of your product line but you will find that the creative process will make you start to think how you can improve your own products to sooth your clients even better. Look at social media as a place were you can test your ideas out and might get them to the first or second step of development but that you need to fine-tune them in your own workshop. Invest – If you do not contribute to the social media scene you will eventually be ignored by your peers. You need to invest your time and intellectual resources in the social media if you are going to come across as having any credibility. It is not unlike when you have friends if you are always the person getting help and asking if people can nurture your needs they will eventually disappear. Show that you are willing and able to contribute to community then other will be more willing to give you something back. Get people involved – Get people participating from all levels of your organisation not just senior management (who we all know let their aid do the blogging) and the communication (that have to) or marketing (who just wants to sell) department. Encourage you colleagues to contribute about the things that they care about and trust that they will have judgment enough to be able to distinguish between what to say (f.ex. I ad had a really bad day at work) and what not to say (f.ex. my boss is the biggest a.. in the world), if necessary teach them the basic ins- and outs of communicating though social media. Remember that your organisation have hired these people and trust them well enough to handle your resources so as a point of departure you should also trust them to communicate about it. Yes, getting the “message across” – If you want to get the message across in the traditional sense you should not use social media in order to do so. If you are just using the media as a new type of add you will not be able to harvest the benefits that the media potentially can spawn for your organisation. Getting the message across in social media means that you are willing and able to negotiate the message it self. You put some idea or piece of information out there and then it does no longer belong to you but rather it becomes part of the collective discussion. People might think it is really good other might not some will ignore you message others wants to engage and discuss. You have to be able to respond to your stakeholder’s attitude to your piece of communication and remember that silence is also a way to give feedback and should prompt a response from you. Communicate – Last but not least is social media a place where you communicate not for one-way information dissemination. When people want to listen to you, you might as well have the kindness to listen back when they try to give you good advice. You might not think much of the advice you are getting but that does not mean that you bring people down or tall them of see it as a genuine interest. ROI – The return-on-investment for your social media efforts can come from many directions. One thing is of cause your ability to communicate with your stakeholders, but it also enables you to build a reputation that will serve you well if you get in trouble. Just think if people had rallied around some of the companies that get in trouble if they had had a follower group who were willing to stand up for the organisations. Were would the BP brand be today if stakeholders in the Mexican gulf had said that “mistakes happens but we continue to trust that they have our best interest in mind” even after the disaster. Today the BP brand is at an all time low because they made the choice to keep their stakeholders from communicating with them when things went from bad to worse. Had they had a different strategy, which took into account all the organisations communication, they would properly be able to claim a much different outcome. My last comment will be that social media is not the universal communicative tool that will solve all your issues management cases. Rather it is a supplement to all the other activities that your organisation engage in from direct sales, advertising, shareholder meetings, CSR, direct marketing, conferences, etc. everywhere members of your organisation communicate they are part of the co-creation of the corporate image. Lets say that we believe that CSR is a form of stakeholder engagement which companies can utilise in order to structure and work both strategically and structured with reaching persons and organisations who have a interest in the organisations actions. Then how does Social media come in and how can we utilise platforms like twitter, Facebook, LinkedIn and blogs in order to reach people who have a stake? “Responsibility of an organization for the impacts of its decisions and activities on society and the environment, through transparent and ethical behaviour that contributes to sustainable development, including health and the welfare of society; takes into account the expectations of stakeholders; is in compliance with applicable law and consistent with international norms of behaviour; and is integrated throughout the organization and practiced in its relationships. But in order to do all these activities an organisation needs to adapt systems that enable them to get in contact and maintain communication with people who have an interest in its continued operations. Such a system could be social media, which offers a wide range of opportunities for sustained and progressive communication with stakeholders. But the approach is only use-full if the organisation is prepared to embrace its possibilities and live with its consequences. Social media is highly suitable to use in combination with an Integrated Market Communication (IMC) effort. There are numerous examples were social media is used to effectively communicate with salient stakeholders. Just think of fan-art forums or Facebook groups dedicated to different brands. Such as a page dedicated to small Lego characters or fan art dedicated to the battle between Pepsi and Coca-cola. While some companies have tried to ban and distance themselves from these groups they are a enormous source of information about the people how are most interested in what your organisation is up to, good or bad. So a good social media communication strategy would be to monitor and systematically collect information that is posted by the fans. And from time to time but not to often ask about their opinion on different subjects from ne products to issues being discussed in the media. These people might be very critical of your action but they are dedicated and loyal to your brand and would for the most part whish the best for its continued prosperity. So do not miss the opportunity to get them act like ambassadors for your organisation they have much more credibility than you would ever hope for. Social media is good for creating your own story. Blogs and twitter can create a sense of closeness to the people behind the reports and official statements. One thing is to say that you have done things in your supply chain in the annual report another is to make a blog entry or a tweet when you are in the field doing social audits. Most interested stakeholders would like to help you out in your quest to improve your business ethics record so why not use this to your advantage. Live blogging or creating a podcast from a field visit, will make your audit even better and create attention around what you are trying to achieve instead of being a reactive activity you have used the media to be proactive. Of cause one have to remember that such activities cost resources and time spend on communicating with people who might or might not have something concrete to contribute with. But even though one might not have any direct benefit from this communication it will provide valuable intelligence on issues of interest for the organisation. Social media is an extra channel in times of trouble. When things starts to go wrong and an organisation are under attack from the media it can be difficult if not impossible to get voice. One of the most important things in time of a media crisis is to get the organisations side of the story out to the people who need to know. Journalists tend to focus one side of the story and in complex cases it can be difficult if not impossible to get all the nuances out there. The organisations credibility will always be questioned when it tries to communicate it is therefor important to have a established platform that was active before the crisis started, it is just not credible to start to communicate only because the organisation does not think it gets enough airtime. The most successful organisation within social media communication have started their efforts because they thought it was a good way to get in touch with its stakeholders not because it had a need to explain why it is exposed to bad press. Using Social media means access to top management. Do not put the intern in charge of the organisation social media presence! While it sounds obvious it is often the gut reaction of top management to put the young in charge of the day-to-day business of running the different social platforms that it is active in. Sooner or later there will be issues that needs to reaction of management and then the communication that comes out does not have any or very little relationship with what have been communicated before. One of the major benefits for the organisation is that it can show consistency, coherence in it communication through the effective use of Social media. Within communication theory we talk about that organisation should avoid a gap between managers vision of the where its going, the culture of organisation in terms of employees and the image that it is trying to display towards its stakeholders. If the organisation does not take charge of its own communication these gaps will expand and in time it will challenge its legitimacy and maybe even its ‘licence to operate’. Remember that the majority of your audience consist of your own employees. The most interested stakeholders in your communication are the people who work for the organisation. When you try to communicate a message to the outside you are at the same time entertaining your internal audience. One can talk of auto-communication, as different codes that is transmitted and understood differently be different audiences. The process that is originally intended for a external audience is transformed by the employees into self-referential and self-confirming images of how they perceive the organisation now and in the future. Where self-referential means the ability of employees and other stakeholders to subscribe or un-subscribe to different images of the organisation in order to create a certain identity. So when you write on your blog write for your employees they are both your most loyal and most critical audience. If you trust them and them you they will provide you valuable insights into the engine room of the organisation, which you would never know of through normal channels. Make sure that you give them the opportunity to be anonymous at least in the start when you gain trust. The ability to measure your results could be the most important thing you can do. If you do not measure, compile and analyse your social media all your efforts could be wasted. Remember that it is the strategic use of social media that is interesting not that you has engaged in random activities on the web. Have standardised reporting on traffic, comments, demographics, subjects, etc. and hold regular meetings on how you are going to use the media tactically and how it relates to the strategy that you have put out. Make sure that you organise in a way that ensures that the people internally that have a stake in the social media are also engaged in its strategic development such as Marketing, Sales, HR, Communication departments. Their input will give added value to the intelligence that is taken of the media and how it should be interpreted in a wider context. So if you want to use social media to communicate around and about the impacts of the organisations decisions and activities on society and the environment make sure that you know and understand how to use the tool to its full capacity. However, I believe that is a misunderstanding to tell people what definition they should subscribe to. Rather it should be negotiated between the organisation and its key stakeholders on a continues basis. CSR is not a management system and will never become such a system simply because it is based on the principle that “Any group or individual who can affect or is affected by the achievement of the organization’s purpose and objectives”(Freeman, 1984) have a stake in how the organization develop. What organizations can do is to become effective in their efforts to identify, categories and negotiate with the stakeholder on what activities that it should engage in. Such a framework can be found using a integrated marketing (IMC) approach enabling organizations to communicate effectively with multiple stakeholders and at the same time indentifying less salient groups which might have a interest or is affected by the organizations activities. 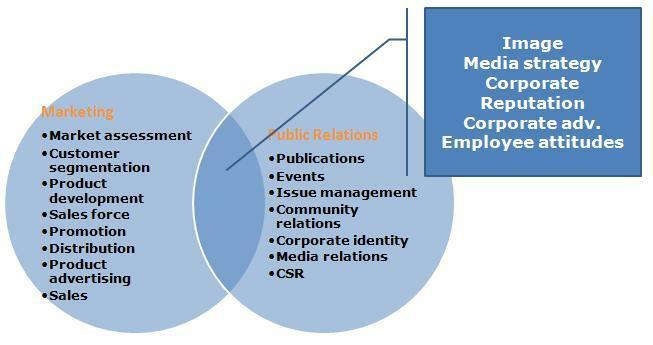 IMC can be described as a process which involves the management and organization of all stakeholders in the analysis, planning, implementation and control of all marketing communication contacts, media, messages and promotional tools focused at selected target audiences in such a way as to derive the greatest enhancement and coherence of marketing communication effort in achieving predetermined product and marketing communication objectives. An IMC approach will in my mind be the most effective framework a given organization can adopt if it wants to be regarded as social responsible player and keep some influence in relation to its identity, culture and image. Welcome to the Social Responsible Investments (SRI) Portfolio blog. The SRI portfolio blog is a place for news, research and personal reflection on the world of Corporate Social Responsibility (CSR) and Sustainable investments. I hope you will enjoy the journey. The world of CSR and Sustainable business is ever changing and the rules of the game are being defined as we speak. The SRI portfolio blog is very much a personal reflection on the ever changing world of CSR and how it affects our every day lives, the organisations we are part of and the society we are living in. In the world of CSR there are many “truths” which everyday consumers and business people have a hard time deciphering. It is my hope that you will find the blog both inspiring and informative, and maybe even gives you a chance to reflect on the subject what sustainable business really entails when all the communicative spin is pealed off.